Rock enclosure design made of weather resistant polyresin. 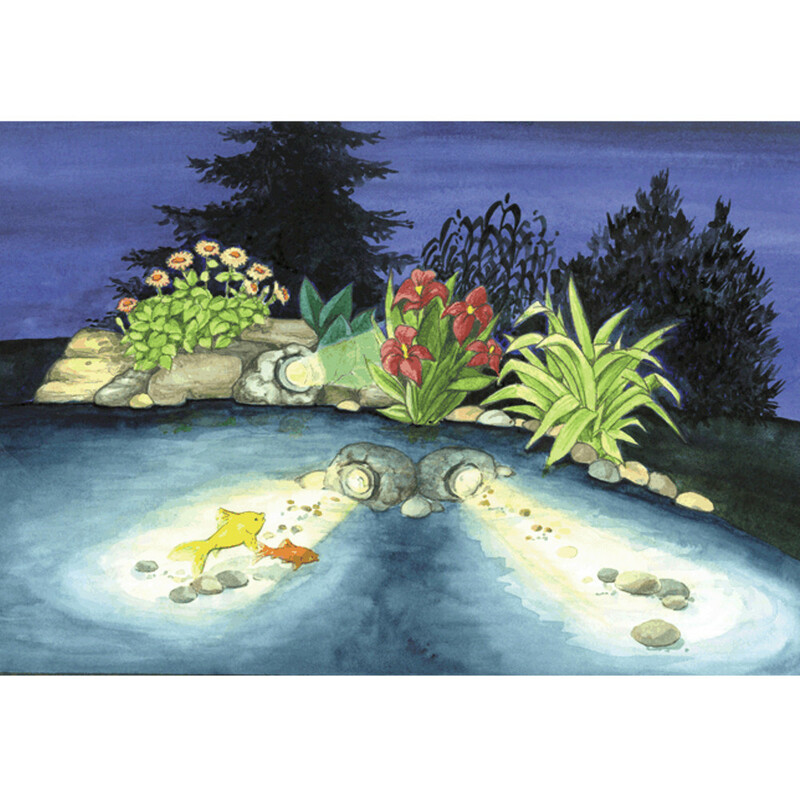 The Oase Pontec Pondostar 30 set can be easily submersed under the water to make an effective lighting display under the pond surface. 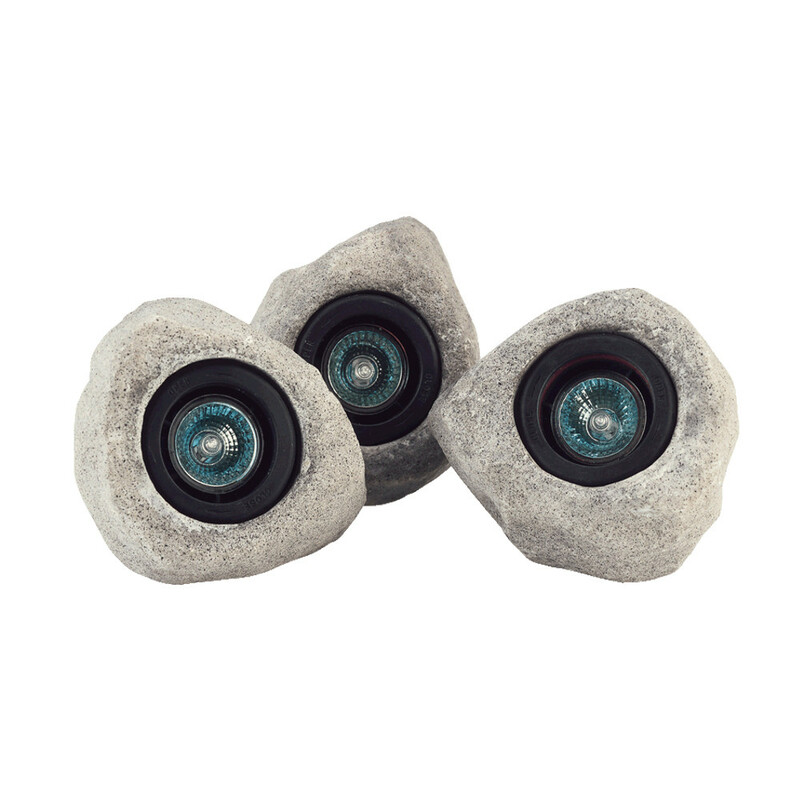 The set comes as 3, 10 Watt Halogen powered lights that are incased in rock designed enclose that blends in with the surrounds. The halogen spotlights can be positioned anywhere in the pond as well as around the edge, to light up the pond and give it a special look. 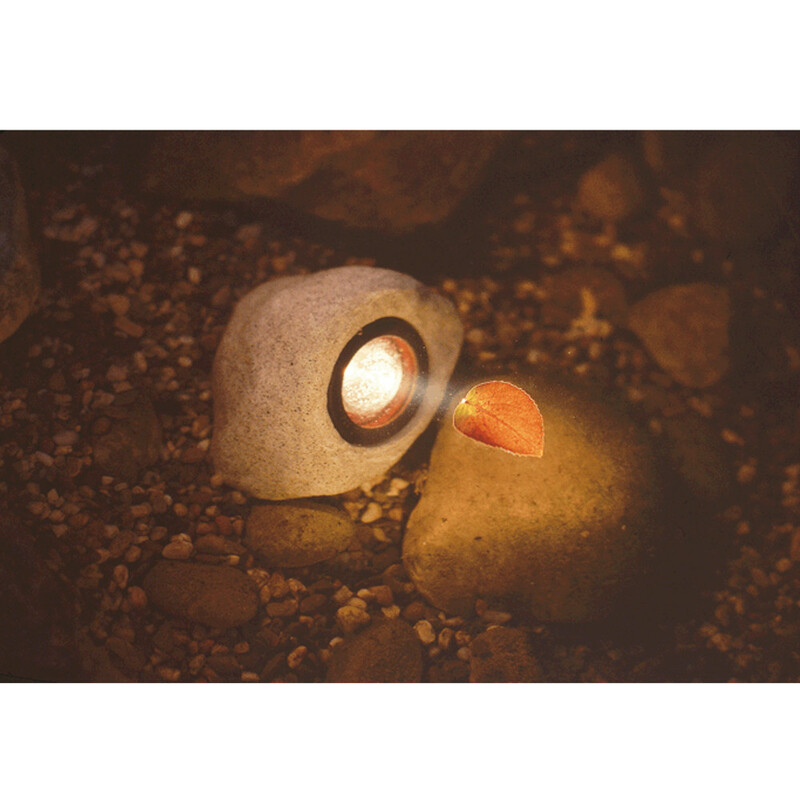 But the lights are not limited to underwater use, they can be placed in gardens, plant beds, rockeries and other features to add creative looks. 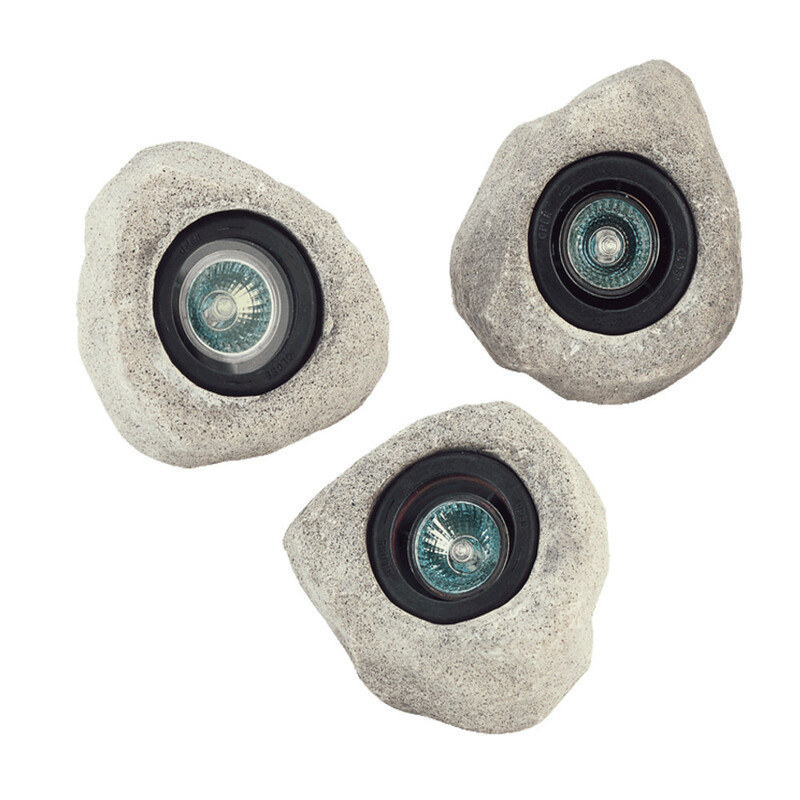 The realistic looking cases are weather proof and are at home in any garden feature. Designed and built by leading pond specalist Oase, these lights are made of long lasting resin cases with easy to access halogen bulbs.